Welcome to Western’s guide to water-efficient plants, a custom collection of more than 700 landscape plants adapted to grow successfully in Southern California’s inland valleys (Sunset Zone 18). With up to 60 percent of residential water used to irrigate home landscapes in our region, selecting and growing water-efficient plants goes a long way in reducing outdoor water use. The goal of using water-efficient plants in your yard is to provide beauty while saving you time and money. 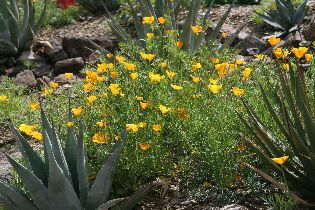 This site does not list all plants that will grow here, but those included are known to perform well in our warm, dry climate. Review the "Top 100 Plants" for Western's service area. 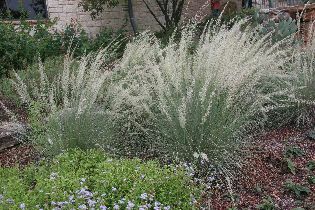 Click on the photos of Plant Types below to browse and review plants within a specific category. Advanced Filtering allows you to find plants to fulfill a specific need, such as water use, height or width, flower color, bloom season and more. The more specific your selections, the fewer the plants sorted for your review. Reduce your criteria for more choices. Also, use this feature to search for plants by name—both botanic (Latin) and common names. Wondering what Low Water, Reflected Sun, Hardy to Cold and Canopy Coverage mean? Learn the basics of what a plant needs to grow successfully in your yard. 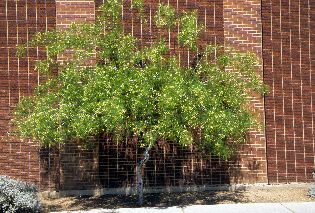 Select trees carefully, making sure their mature height and width will fit into the available space. These are the functional plants of the landscape. With time and proper selection and location, trees provide privacy, seasonal interest and help decrease heating and cooling costs. With their wide range of sizes, shapes and foliage and flower colors, shrubs are the most versatile of all plants. Most are attractive in their natural forms, so avoid heavy pruning or topping. They are ideal for screening, defining outdoor spaces and for year-round seasonal interest. These are the problem-solvers. Bare soil? Cover with a groundcover. Steep slope? 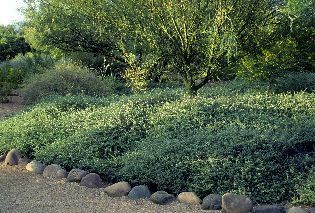 Select a groundcover to prevent erosion. A shady corner? There’s a groundcover solution. Groundcovers are lawn alternatives as well as plants that blend and unify a landscape scene. 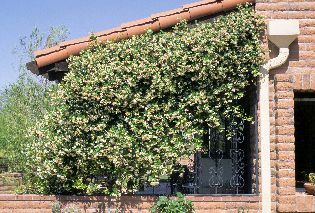 Vines are the go-to plants for a small-space landscape due to their ability to “go vertical.” Many vines are fast-growing, establishing a presence rather quickly—perfect for a new landscape. Consider, too, the listings under Groundcovers. Many serve double duty as vines. Make no mistake, these grasses are not used as lawns. The seedheads and long leaves of ornamental grasses bring the element of movement to the landscape. They offer year-around interest with cooling shades of green in the spring and summer, followed by tans and browns during winter. 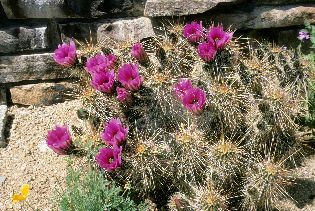 Cacti are the heads-above favorites as water misers. Use them to add an explanation point in a design; many also produce incredible flowers. Thorns of many cacti make them excellent security barriers, but these same thorns require that you locate cacti carefully, away from outdoor areas and walkways. Succulents are among the best plants for providing a desert sense of place. 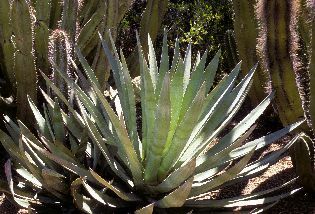 Like cacti, because of their sharp thorns and spines, locate them with their mature size in mind. The sculptural qualities of succulents are unmatched, and the incredible variety of their shapes and sizes make them a designer’s dream. These are plants that live for more than one year, although many live for several years. Perennials are great choices for a new or renovated landscape—they add color and interest in a short time. 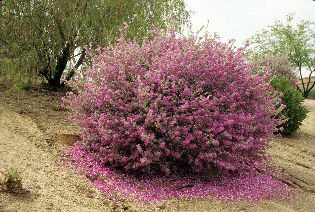 Their wide range of forms allows their use as shrubs, groundcovers, or in containers. Many perennial wildflowers reseed so plantings continue for years. Annuals are plants that grow, flower, produce seed and die in one year. Annuals described here include both bedding plants and wildflowers. Bedding plants are planted from packs or containers. Wildflowers are typically planted as seeds where you want plants to grow. Annuals are temporary plants, so are not valid as Canopy Coverage in lawn replacement programs.